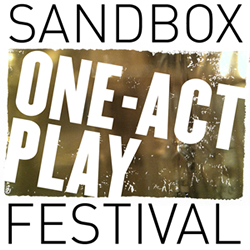 Come on down to the Erickson Theater, Seattle, June 13-15th, for the Sandbox One-Act Play Festival, four new one-act plays by Sandbox playwrights Elizabeth Heffron, Scot Augustson, Emily Conbere, and Paul Mullin. These are completely off-book and fully produced plays. Elizabeth’s piece is called ‘… dispose of me … ,’ directed by Carol Roscoe, performed by Shawn Belyea and Nicole Merat. …dispose of me…, by Elizabeth Heffron – A young woman and a former step-father figure are reunited after the death of her mother and try to redefine their relationship in the midst of a life-changing event. This entry was posted in Performances and tagged dispose of me, Erickson Theater, Sandbox. Bookmark the permalink.